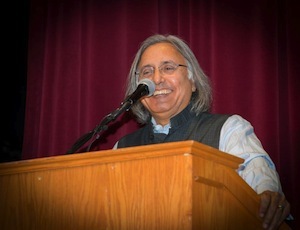 Ujjal Dosanjh, former premier of British Columbia and one-time federal cabinet minister, was recognized for civil courage at a ceremony at the Jewish Community Centre of Greater Vancouver on Jan. 18. The event marked the annual Wallenberg Day commemoration in the city, and the award was bestowed in the name of two extraordinary individuals whose actions during the Second World War resulted in the survival of tens of thousands of European Jews. The first annual award was presented at the 10th anniversary commemoration of Wallenberg Day, which honors Raoul Wallenberg who, as a Swedish diplomat in Budapest, issued visas that saved thousands of Jews. The Soviet military entered Hungary in January 1945, and Wallenberg was detained on suspicion of subversive activities. He was never seen again. The commemoration, which was initiated by Anders Neumuller, a former honorary Swedish consul to Vancouver, is now presented by the Wallenberg-Sugihara Civil Courage Society, which, along with Wallenberg, commemorates Chiune Sugihara, a consular representative of Imperial Japan in Lithuania who, similar to Wallenberg, issued visas that allowed thousands of Jews to escape Nazi-occupied Europe. Henry Grayman, president of the society, explained that it was founded in 2013 by Swedes and Jews to honor and encourage acts of civil courage like those exemplified by Sugihara and Wallenberg. The impact of acts of civil courage was made evident by Grayman’s wife, Deborah Ross-Grayman, who emceed the afternoon event. She credits her life to the war-era acts of Sugihara. She invited others in the audience whose survival could be credited to the acts of individuals like Sugihara or Wallenberg to stand, and close to a dozen people rose from their seats. “As you see, one person can make a difference,” she said. On stage with British Columbia’s Lt.-Gov. Judith Guichon and Sweden’s honorary consul to Vancouver, Thomas Gradin, Dosanjh received the award but deflected the accolades. In turn, he said, he accepted the recognition in the name of victims of violence in recent days at Charlie Hebdo and the Jewish supermarket in Paris. He also gave thanks to his heroes – including his grandfather, and Mahatma Gandhi, “the father of the nation I deserted to become Canadian” – and also those who have stood by him during difficult times. Deputy Mayor and Vancouver City Councilor Andrea Reimer brought greetings from the city and read a proclamation from the mayor. She urged people to take the opportunity in 2015 to prove that actions make a difference. “We have a choice to act, or we have a choice to regret that we didn’t act,” she said. In addition to Sweden’s Gradin, consular representatives were also in attendance representing Japan, Switzerland and Mongolia. 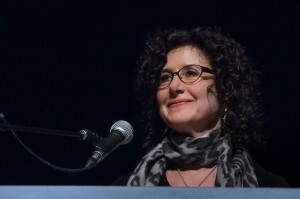 After the presentation, a feature-length film was screened. The Rescuers features diplomats and government officials from diverse places whose actions saved the lives of thousands of Europe’s imperiled Jews. The Wallenberg-Sugihara Civil Courage Society will mark Vancouver Raoul Wallenberg Day on Jan. 19 with the screening of the documentary Nicky’s Family, about Holocaust hero Nicholas Winton. Now 104 years old, Winton lives in England (where he was born). The story of his heroism during the Holocaust starts in 1938, when he was a stockbroker. Receiving a letter from a friend in Prague about the plight of Jews in German-occupied Czechoslovakia, he traveled there to assess the situation for himself. Shocked at what he witnessed, he established an organization to aid children from Jewish families, setting up office in his hotel room in Prague, from which he eventually expanded. 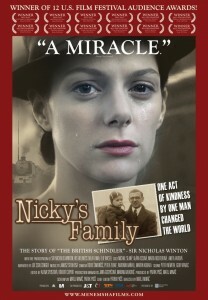 Nicky’s Family will be screened in Vancouver on Jan. 19. After Kristallnacht, in November 1938, the British Parliament approved the entry of refugees younger than 17 into the country, if they had a place to stay and a warranty was paid. Knowing this, Winton left his friends in Prague to manage the gathering of the children there and returned to London, where he started a campaign to find foster homes and the necessary guarantees for as many children as he could. Winton also organized for the Jewish children to be transported on trains and then on to ferries to England, where the foster families met them. The operation later became known as the Czech Kindertransport. It lasted until the official start of the Second World War on Sept. 1, 1939, by which time 669 of “his children” had arrived in England. He kept records of the names and addresses of the children, their parents and their foster families. Most of the Jewish parents in Prague perished during the Holocaust. Winton never told anyone of this enterprise. Fifty years after the fact, his wife found a suitcase in the attic with all his wartime documentation. She contacted the BBC, and they sent letters to the addresses of the foster families. Several dozen people responded. Most of them didn’t know the identity of their rescuer. His “children” and their children and grandchildren now number more than 6,000. A 1988 TV program about the reunion of Winton and dozens of the children he had saved started a snowball of recognition; among the honors, Winton was knighted by Queen Elizabeth II. In the late 1990s, Minac was searching for a theme for his next film. The Czech director read Pearls of Childhood by Vera Gissin, in which she mentions Winton and his rescue operation. 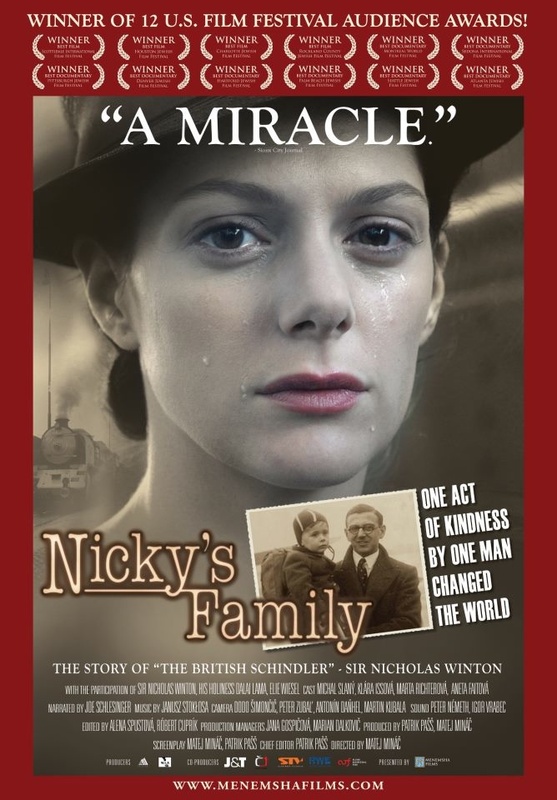 In the end, Minac made three movies about Winton: one feature, All My Loved Ones (1999), the documentary The Power of Good: Nicholas Winton (2002), which won an Emmy Award, and Nicky’s Family (2011), which includes reenactments and never-before-seen archival footage, as well as interviews with Winton and a number of those he rescued. Nicky’s Family will screen at the Jewish Community Centre of Greater Vancouver’s Rothstein Theatre on Jan. 19 at 1:30 p.m.